Our ISO 9001: 2008 Standard compliant quality system assures our capabilities of maintaining your quality requirements. We do this through the effective application of our system. This includes processes for continuous improvement, in-process, and total inspection before delivery. Most importantly, we are committed to providing you with the optimum product. First, we identify your part’s critical features. From there, we design a manufacturing process focused on eliminating associated risks. Contact us to learn more, or start the process. Our goal at MLS is to provide you with quick, accurate solutions to your machining needs. To do this, we utilize proprietary customized processes from start to finish. As a result, our capabilities and products exceed your expectations in the shortest amount of time. MLS’s team of machinists has a diverse combination of experience and equipment. As a result, we are able to deliver full-service solutions to our customers on both a typical and emergency basis. Whether it is 4th and 5th axis milling capabilities, or grinding, boring and turning, our machining group is ready to help. From reverse engineered “one-off” parts to high volume production runs, you can count on MLS. We are a full solution for your out-sourced machining requirements for projects of any size. 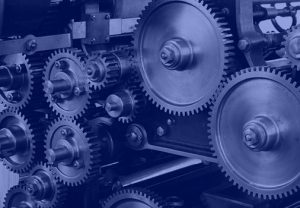 MLS’s mechanical engineers and skilled tradesmen can perform a full range of onsite services and preventative maintenance. 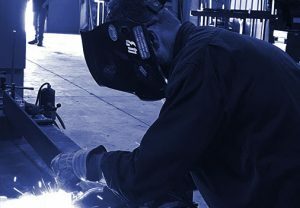 Millwright services, welding, piping, cutting, assembly/disassembly, laser alignment, rebuilds and light rigging are all within our capabilities. We have the knowledge and experience to tackle your in-plant service needs to keep your operation running at peak efficiency. MLS’s Industrial team has the skills to take on a wide variety of fabrication tasks. Our 50.000 sq. ft. facility in Findlay, Ohio allows us to manage any size project from start to finish. This includes (1) 15-ton and (3) 5-ton overhead cranes, metal shear, metal brake, MIG and TIG welders, and paint booth. Additionally, our in-house engineers and support staff can design, build, and offer a turn-key solution for your company. You can count on the capabilities of MLS for quality design, installation, and support for your industrial electrical needs. 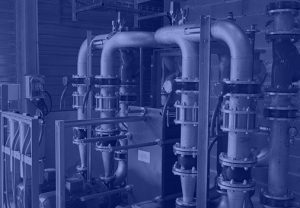 We provide a full range of electrical support services for the industrial market. For example, we offer on-site equipment troubleshooting, utility drops for installations, and routine inspections. This is all part of your preventative maintenance plan. Additionally, our team can design and build high-efficiency control systems, from push-button and relay logic to PLC and SCADA computer based solutions. Evaluate the customers’ needs and limitations. Understanding the customers’ expectations and developing a realistic concept plan. Based on the concept, determine the best solution that best fits the expectations. Test the concept to ensure the expected results. When testing is complete, collect the data. Make a report and analyze to ensure the maximum quality capabilities.